The exclusive push-button release design eliminates the need for special locking wrenches – delivering convenience and increased operation efficiency. Fully sealed ratchet mechanism – Safeguarding the ratchet mechanism against ingress of dirt or dust – providing minimal operation downtime. Lockable – The Camlock-R can only be dis-engaged by pressing the push-button release against the spring and again rotating the Cam by hand. 360° engaged ratchet – The patent pending design includes 2 rings of teeth, ensuring the ratchet mechanism is fully engaged at all times. 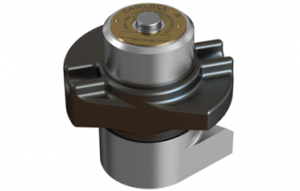 The Camlock-R eliminates any concerns over the effect of vibration on the Cams. Manufactured to Gall Thomson standards with over two years of confirmed field experience (first supplied in January 2016). The Camlock-R is proving to be the first choice for many operators. 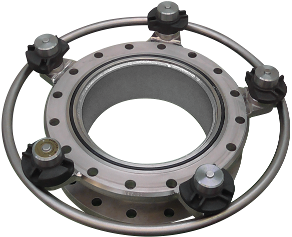 Contact the Gall Thomson Sales Team on how the Camlock-R can increase the efficiency and safety of your operations.